It was a starry night for Bollywood celebrities as they had all flown down to Delhi to perform at a wedding. From Ranveer Singh to Shahid Kapoor and Katrina Kaif, top-notch actors made the event a memorable one. 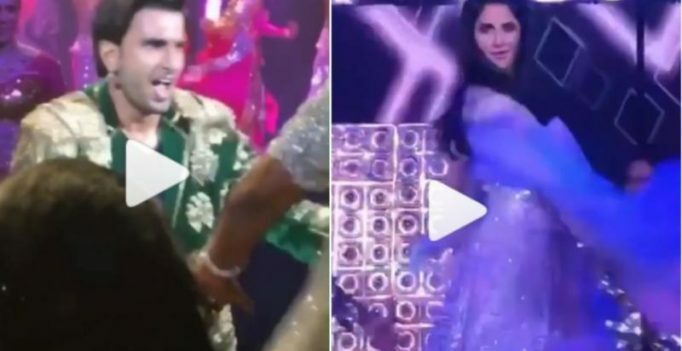 Ranveer was at high highest energy as he even involved the bride and the groom while dancing on ‘Khalibali’ from his latest release ‘Padmaavat’. Shahid Kapoor also danced on his ‘Kamine’ song ‘Dhan Te Nan’ and we got transported to that time.